Irie (7, a girl) is Blitz’s best bud! 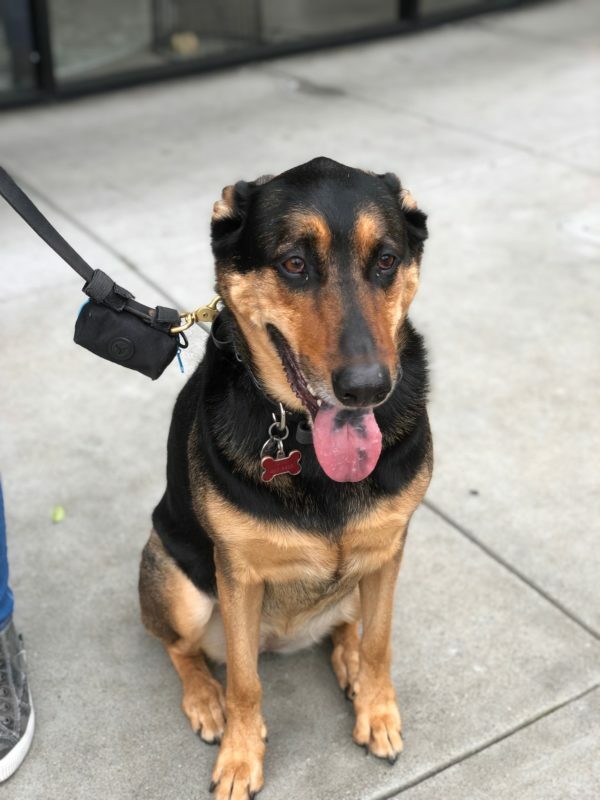 This entry was posted in Dog of the Day and tagged German Shepherd, Mission, Mixed Breed, SOMA, Work. Bookmark the permalink. Chow mix? Those black spots on the tongue….or do Belgian Melinios have those too? Plenty of breeds have them, actually. Everything from rotties to golden retrievers. The mix would have to be something with floppy ears; could well be chow, but could be golden or lab, too.